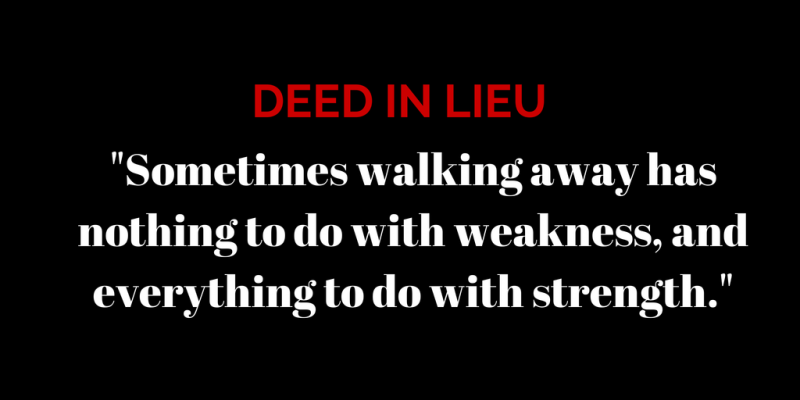 In a deed-in-lieu of foreclosure (DIL), the borrower voluntarily transfers ownership of the mortgaged property to the servicer in full satisfaction of the total amount due on the first mortgage. This should be used as a last alternative if any of your other options have been tried and not worked. The servicer’s willingness to approve and accept a DIL is contingent upon the borrower’s ability to provide marketable title, free and clear of mortgages, liens and encumbrances. 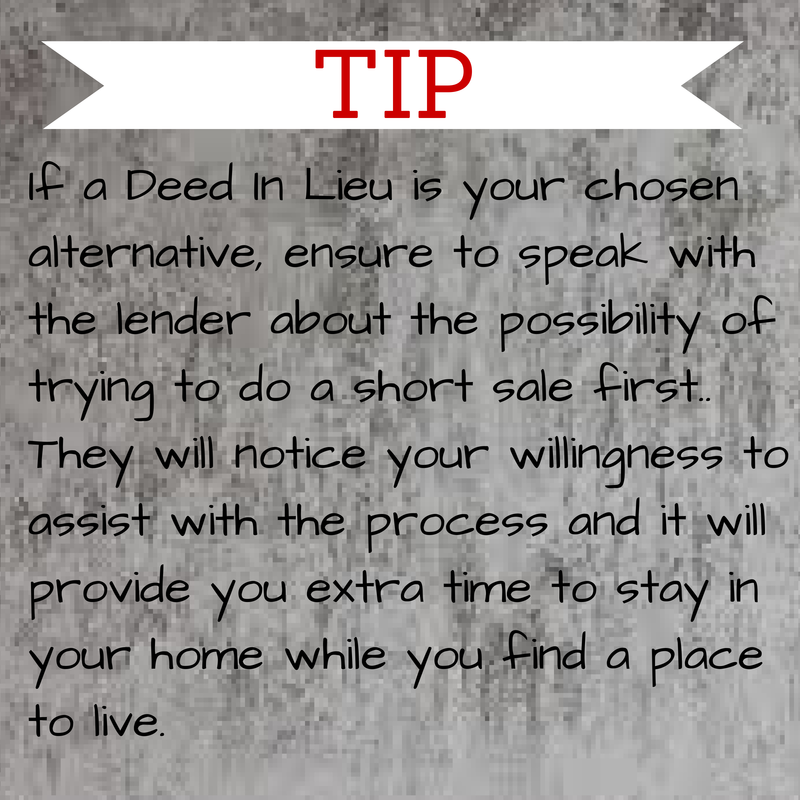 Generally, servicers require the borrower to make a good faith effort to sell the property through a short sale before agreeing to accept the DIL. However, under circumstances acceptable to the investor, the servicer may accept a DIL without the borrower first attempting to sell the property. With either the HAFA short sale or DIL, the servicer may not require a cash contribution or promissory note from the borrower and must forfeit the ability to pursue a deficiency judgment against the borrower. WHATEVER YOU DECIDE TO DO - MAKE SURE THESE ARE NOT OUR CHOICES!! Do NOT sign the property title to anyone. With all the letters you will be getting, chances are that you will hear from companies that sill want your title and say they will reassign the title back to you once the mortgage is current but what ends up happening instead is that these companies will pull your equity and skip payments, allowing the property to go into foreclosure. Since the property is not in your name any longer you won't be able to prevent a future foreclosure. When you have equity some companies will approva a high interest second mortgage for up to 70% of the equity in the home. The interest rate and fees are really high and they do this in hopes that you blow the money and default, which allows them to take the proprety from you. There are legitimate alternatives that will allow you to sell or keep your home but you will need to act quickly and use a reputable company to assist you. Although there are typically fees involved they will help you resolve your problem. Be wise and investigate but act! !